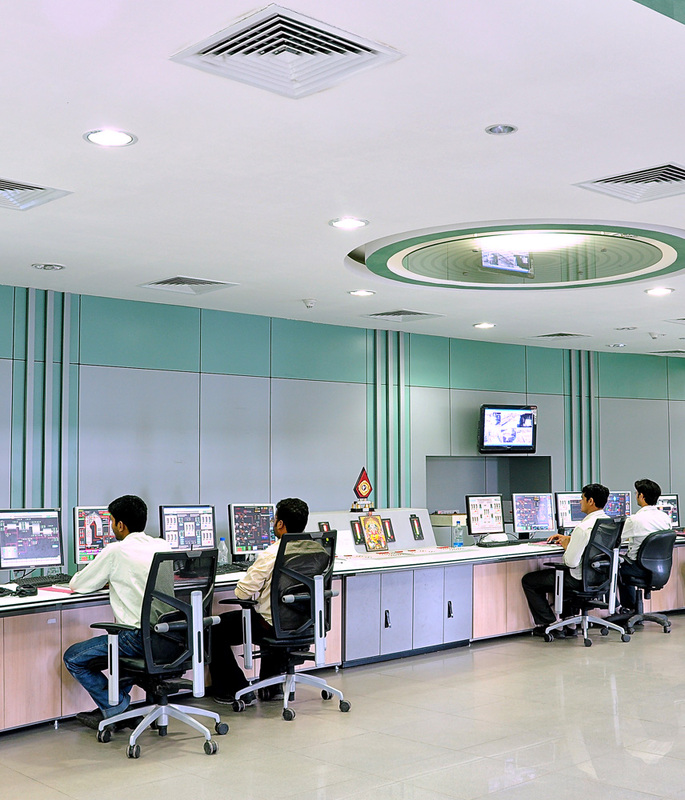 Our captive power plants (CPP) provide low-cost, reliable power to our mines and smelters to help achieve lowest cost producer vision of the Company. The Company has coal based thermal captive power plants with a total power generation capacity of 474 MW. These generated a record 4,155 million units of power in FY 2018. To optimise cost in a high commodity price environment, the Company diversified its fuel basket using lignite &off-spec coal and also secured 0.94 million MT of Indian coal through linkage auctions for five years, which is about 40% of total coal requirement. We continuously focus on reducing greenhouse gas emissions and carbon footprint. In line with this vision, the Company has made significant investments in green energy aggregating to 325 MW. Of this, wind power accounts for 273.5 MW spanning five states and is under long-term PPA with discoms. This capacity was installed in two phases of 123.2 MW and 150.3 MW during 2007-2009 and in 2012 respectively and is registered under Clean Development Mechanism (CDM) program by United Nations Framework Convention on Climate Change (UNFCCC). 16 MW of solar power was installed in March 2017 in two of our facilities for captive consumption and the same is planned to increase significantly in the coming years. In addition, the Company produces 35.4 MW through its waste heat recovery boilers. In addition, we also have 35.4 MW of power generation capacity from waste heat recovered from roasters. All the waste heat projects are registered under the Rajasthan Renewable Energy Corporation as a source of renewable energy. During FY 2018, we produced wind power of 414 million units and solar power of 30 million units and achieved reduction of 614,793 MT of CO2 through green energy and various cost reduction initiatives.